That's it for the Men's Free Skate! Stand by though as we wait for Machida's scores to come in! The ladies free skate will be up next! 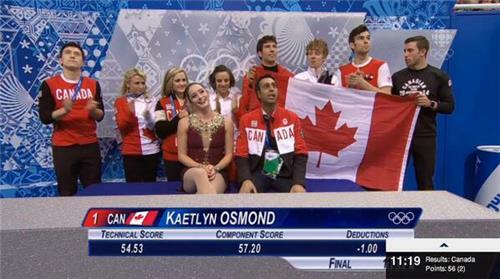 This moves Canada 9 points up on the USA as a team. How's everyone doing out there!?! Evgeni Plushenko takes top marks and 10 points for Russia in the men's free. 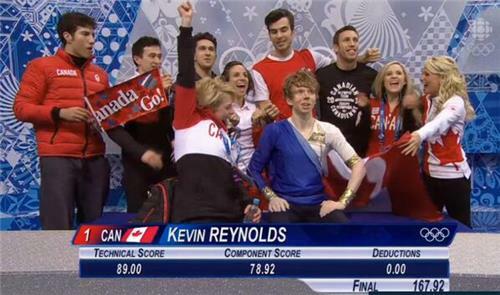 Reynolds not far behind, Canada gets 9. Russia now leads Canada 57 to 50 with two events remaining. It would take a Russian disaster at this point to pull ahead, unfortunately, but Canada looking strong for a medal. The Canada/U.S. 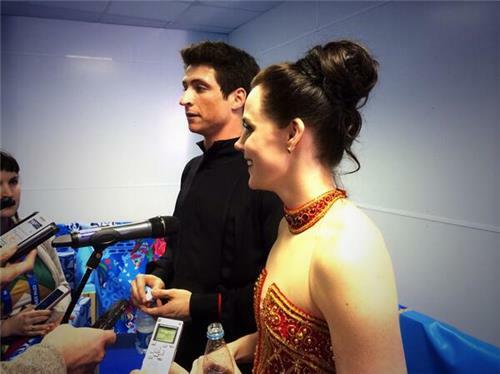 rivalry in ice dance most intriguing tonight. That's still to come. 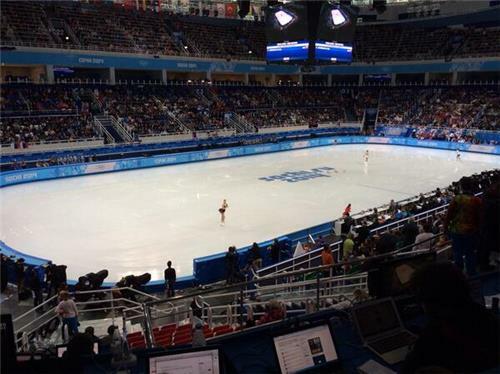 Canada's Kaetlyn Osmond (just 18 years old) will open the ladies free skate in just a few minutes! Some quick info on figure skating. Kaetlyn Osmond looks cool, calm, and collected as she warms up. Kaetlyn's first element will be a Triple Flip and Double Toeloop. Unexpected fall but she got right back up! 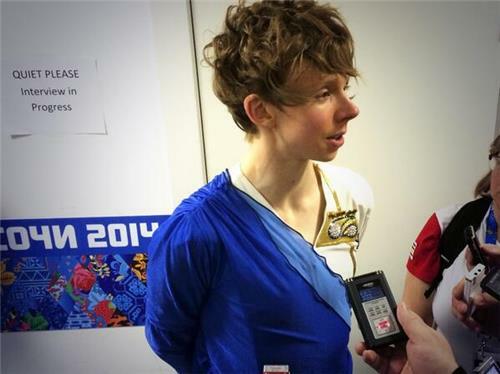 With a name like 'Gracie Gold', how could you not become a figure skater?! Down in the mix zone hoping to get a quote from Osmond following her skate. Re: Gracie Gold, she is an avid juggler. Travels with juggling balls. That's all folks! Thanks for tuning in. We're about to have a medal ceremony for Mark McMorris and the Dufour-Lapointe sisters at Canada Olympic House. Time to celebrate! The third Russian pair moves to second behind MT/Moscovitch. Peng/Zhang not as fluid as Moore-Towers/Moscovitch. The Canadians should remain in first with four groups to go. Final flight coming up. Moore-Towers and Moscovitch currently in 1st and Duhamel and Radford in 3rd. Stolbova and Klimov from RUS on the ice.